Princess Rose by Lecien. Pink roses with beige and white stripes. Photo measures approximately 16"x11" ( 41cm x 29cm ). For apparel, quilting or many sewing projects. 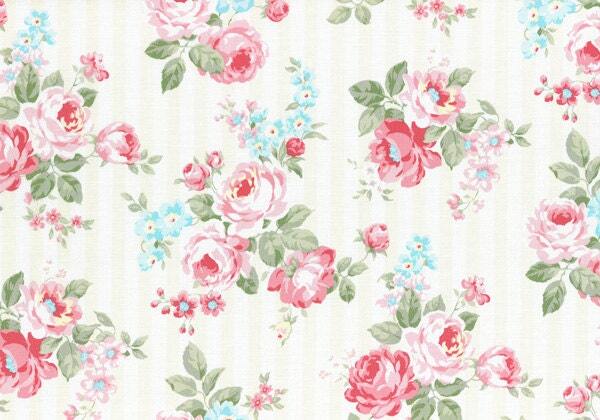 1/4 yard = 9"Length x 43/44" Width ( 23 cm x 110 cm ). 1/2 yard = 18"Length x 43/44" Width ( 46 cm x 110 cm ). 3/4 yard = 18"x 43" ( 69cm x 110 cm ).